Lasai means calm in Basque. Thus, by definition, the Lasai collection should inspire relaxation and comfort. The result is a collection that transmits these feelings visually as well as physically. 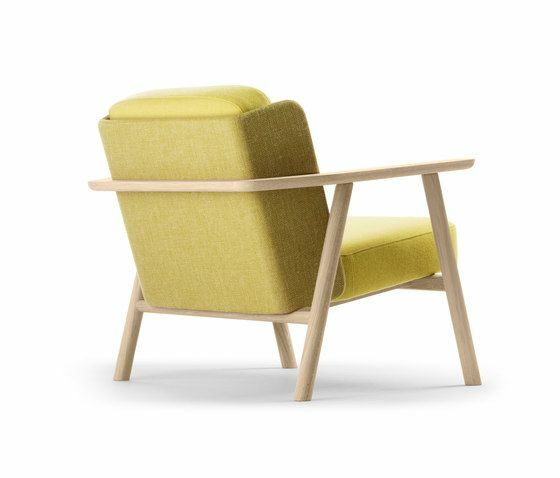 The Lasai armchair has a structure in Solid oak. Back and seat are in high-density foam upholstered in fabric, leather or eco-leather. It is available in single or double seat. Inspired by the fishermen's baskets, this element of the Lasai collection, has a dual function: coffee table and container. The Lasai coffee table's structure is in plywood. It can be upholstered in fabric, leather or eco-leather. Solid oak top with a flap.